The justice system is designed to protect people who are innocent and protect people's constitutional rights. There are rules governing what type of evidence can come into a trial and what statements can be made. When the rules are violated by the judge's decisions, the individual may have grounds to file an appeal if they have been convicted of a crime. A conviction does not mean the case is over, there are still options to prove an individuals innocence or challenge a prejudicial ruling that hurt the case and contributed to the conviction. Appeals are not for every case. Appeals can take a considerable amount of time and if an appeal is successful it does not mean the case is dismissed. Appeals are for individuals who have been convicted of serious charges who have a substantial chance at obtaining a positive outcome. If you or a family member has been convicted of a crime, we provide a free consultation to determine if filing an appeal is the correct decision. Judges make mistakes and exclude or include statements that are improper and do not follow the rules of law. Lawyers can provide ineffective assistance and make critical errors which lead to a conviction. 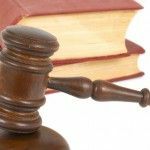 The Denver criminal appeals attorneys at Steven Louth Law Offices have the experience in handling appeals to both the Colorado Court of Appeals and the Colorado Supreme Court. We have had numerous successful outcomes getting cases reversed. The most common misconception relating to appeals is that it is a re-trial where new evidence is presented and things are clarified. It is not. It is a legal proceeding which takes place almost entirely in writing. Each party files briefs to the court addressing the alleged mistakes that took place during the trial. Appellate courts resolve legal decisions after the facts have already been received at the trial. A notice of an appeal is a document filed with the original trial court and the district court of the individual's intent to appeal. It is a short one page document that is extremely different from the actual appeal. Anyone attempting to appeal must do so within the legal time from established by the Colorado laws. Hiring a Denver criminal appeal attorney who specializes in appeals should be the first course of action to get an appeal underway. Generally, appeals take many months if not more than that. There is one appellate court for Colorado and they have many cases to review. The courts consider each case and each legal claim individually. This process takes time. The judges will read, research and consider the arguments in each appeal. This is a lengthy process and the judges review hundreds of cases. Further, the Attorney General's Office who responds to the briefs we file often ask the court for substantially more time to respond. The vast majority of appeals are resolved without any oral arguments. The opening brief states the facts of the case followed by a persuasive argument on the legal errors that were made. Each factual claim must be supported by the exact citation and each legal claim must be supported by a citation to a case, statute or constitution that provides authority for such argument. The government responds arguing their position and they answer each claim. Appealing a case is night and day difference from arguing a case in court. The attorney who submits an appeal must be up to date on the case law and recent decisions that the appellate courts have made. The Denver appeal lawyer must have excellent research and writing skills. A brief must be clear and concise and bring in facts that support the persuasive arguments. There is room for creativity but the arguments must stick to the facts and support previous case law. Each brief has strict technical requirements, such as the font size, formatting, binding, paper size, color scheme and strict deadlines that must be met. If these items are not done correctly the brief will be returned and must be corrected within a certain period of time. This can add substantial time to hearing back from the appellate court. If the mistakes are not corrected before the deadline the appellate court can deny the entire brief. It is essential to have a lawyer who has experience handling appeals and who understands all the court's requirements. Submitting an appeal that is clear and concise that shows respect for the appellate procedures helps the cause. Appeals are time consuming to put together. The attorney who files the appeal must know the facts of the case and all arguments made by the judge. To correctly construct an appeal, the attorney must read through the entire transcript of the trial. There is a considerable amount of research of what occurred at the original trial and what cases support our arguments. The appellate courts review the decisions of the trial court. In order for the appellate courts to reverse a decision, the trial court must have a fair opportunity to correct an error. If counsel did not object to an error they did not give the trial court the opportunity to correct the mistake and the appellate courts likely will cite that is the reason for not correcting the error. For example suppose there is a murder trial. The prosecution calls to the stand a witness who testifies an associate told him that the associate saw the defendant commit the murder. This is hearsay and the witness can not testify to what other people heard. Defense counsel will object to that statement coming in. The judge will then sustain it. Defense counsel must continue to object until they are overruled by the trial court in order for the error to be preserved for an appeal. Counsel must then ask for the statement to be stricken. If they judge denies the request the error is preserved for appeal. If the judge grants the request counsel must ask for the jury to be instructed to disregard the statement. If the judge orders the jury to disregard the statement counsel must make a motion for mistrial. If the judge denies the motion for mistrial, then the error is preserved for an appeal. An experienced trial attorney will understand these issues and preserve the record in case an appeal is filed later on. If an error is found that contributed to the guilty verdict the appellate court will likely offer relief. Very rarely is the relief an acquittal. Most often the error is admitting evidence that does not obey the rules of evidence, violating a procedure, improper argument, or an error instructing the jury. When this is the case the appellate court will send the case back down to the trial court to re-try the defendant. If the defendant was acquitted of the heavier charge but convicted of the lesser charge, the defendant cannot be re-tried on the charge he or she was acquitted of. The prosecution may make a better plea offer or in some cases dismiss the case outright. Its likely witnesses are no longer available and the prosecution cannot put on the same case. Its also a possibility things can go very different at a second trial. If crucial evidence is the issue on appeal, the prosecution may not have a case if the evidence is deemed inadmissible and the case would get dismissed. Our attorneys review all this information to decide whether filing an appeal is the best interest of the individual. Only five to ten percent of appeals are successful and the verdict is reversed. Loosing an appeal is not the end of the road. There are other options for post-conviction relief that can be explored. We handled the original trial of a man charged with second degree assault (mandatory minimum 5 years prison) and the lesser included charge of third degree assault. Our client was walking past a party when the “somewhat intoxicated” renter of the house thought he heard our client damage his fence. The intoxicated man confronted our client by calling his group “babies” and threatening to “kill all of them” and “kick all their asses”. The intoxicated man got in our clients face as he attempted to walk away and grabbed his shirt. The two exchanged punches and our client broke several bones in his face. He was arrested. At trial the judge gave the jury the instructions that ““Because every person is presumed to know the law, it is presumed that the defendant knew the person could employ lawful force against him if the defendant committed a crime in the person's presence.” The jury convicted our client of the lesser included offense of third degree assault (maximum 2 years in the county jail). We appealed and the appellate court concluded this jury instruction was improper in this case. They overturned the conviction and sent the case back to the trial court. The trial court could not re-try our client on the second degree assault charge because the jury acquitted him of that charge. His case ended up being dismissed. To read more about this published case see check out this criminal appeal blog. View the published appellate court decision. If you or a loved one has been convicted of a crime there are options to prove your innocence and correct any errors made in the handling of the case by the trial court. Contact our experienced Denver appeal lawyers who will review your case and advise you on whether an appeal is the best course of action. Contact the criminal defense attorneys at Steven Louth Law Offices for a consultation.